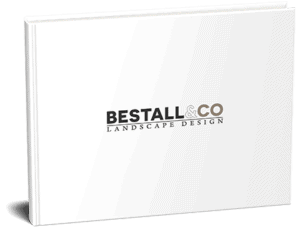 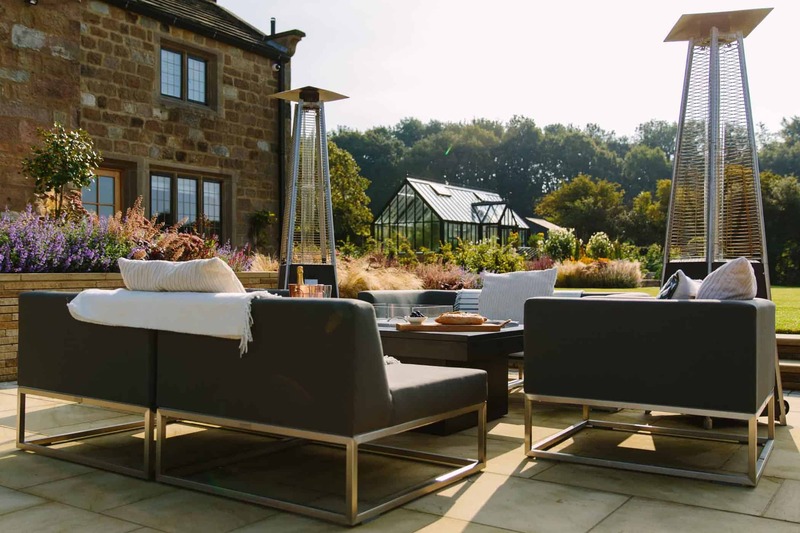 Phase one of this three phase project to create a contemporary country garden was completed during the summer of 2014. 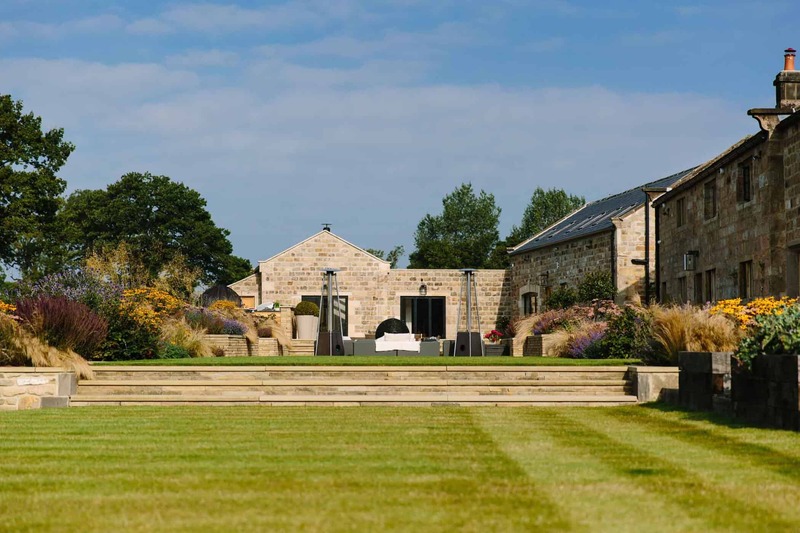 Upon completion of the farm house which has been sensitively restored and repaired came phases 2 and 3. 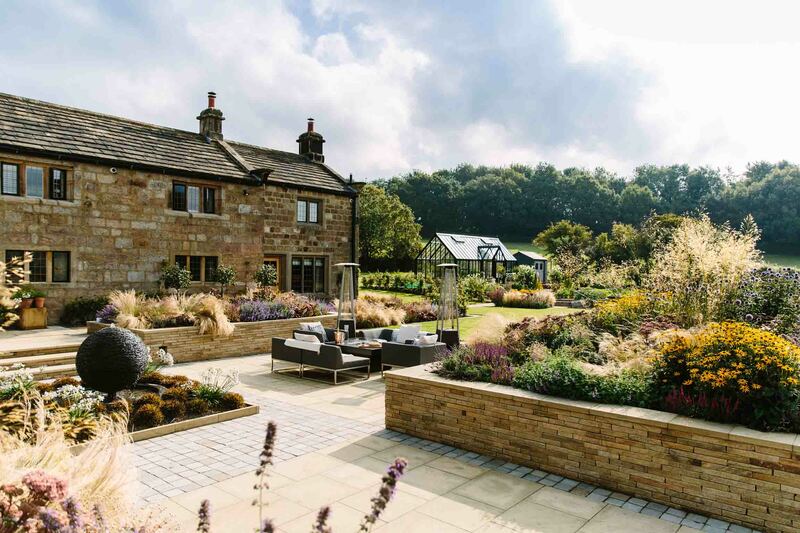 The removal of a 1960’s style garden made way for a beautiful modern seating area, sunken from view in order to retain the open aspect of the house from surrounding fields and vice versa. 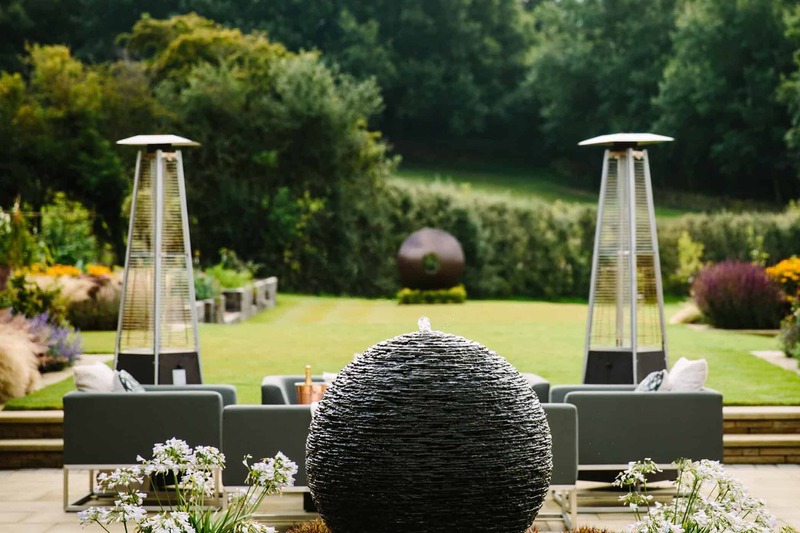 The additional of a central water feature, creates a gentle noise as well as a beautiful focal point. 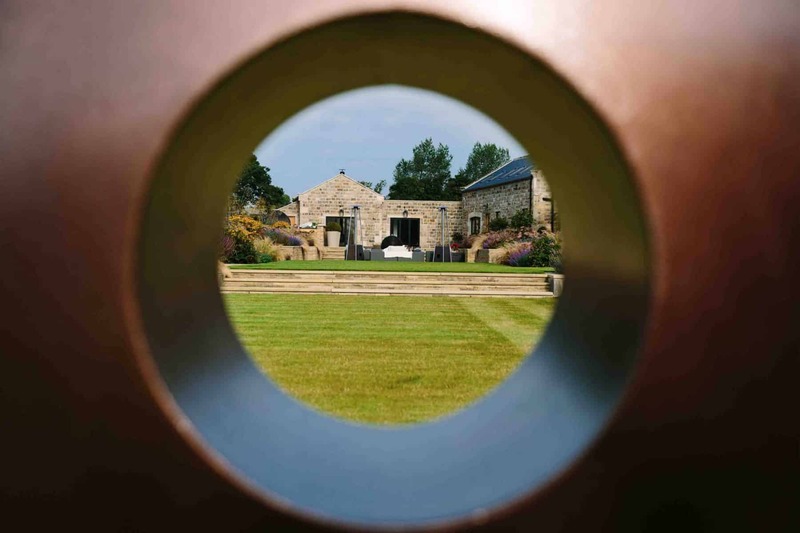 Simple in style and constructed from slate to match the barn roof, the James Parker sculpture is admired by all who see and hear it “Our children love to sleep with their bedroom windows open in summer so they can hear the gentle ripple sounds the water makes”. 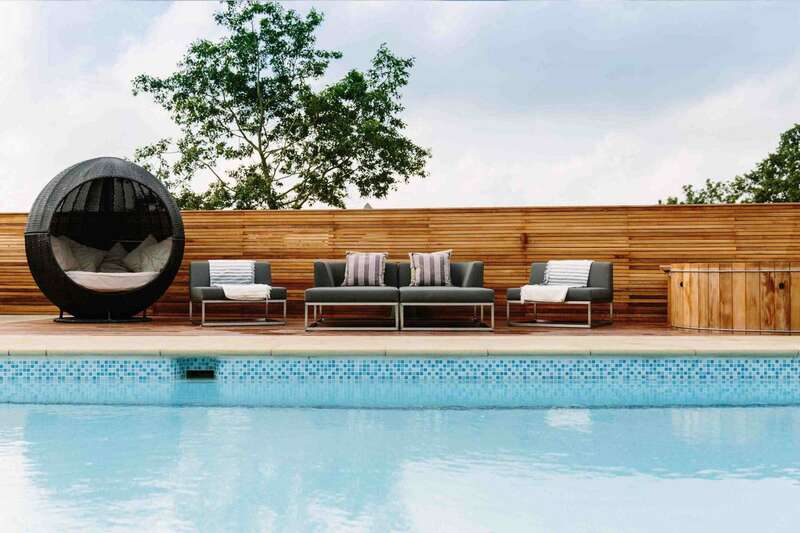 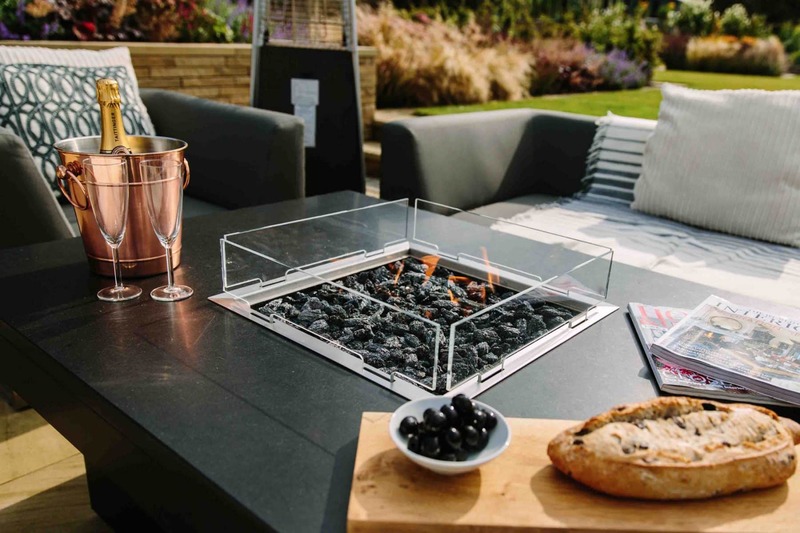 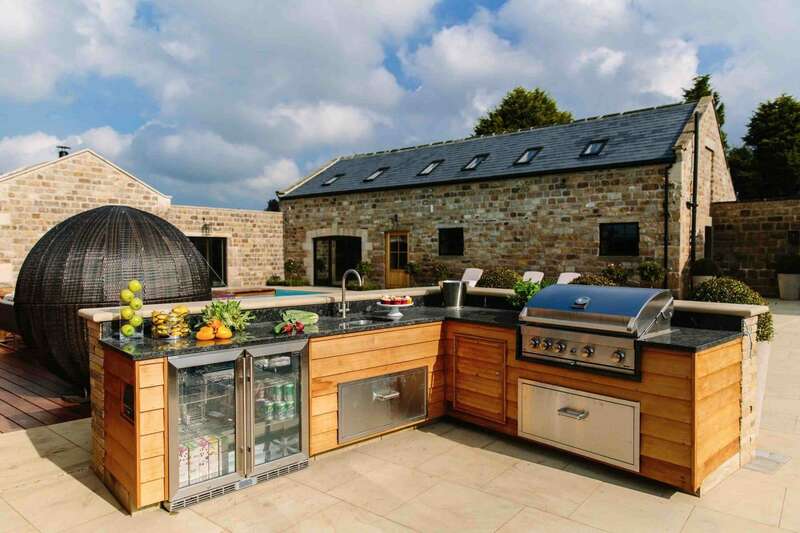 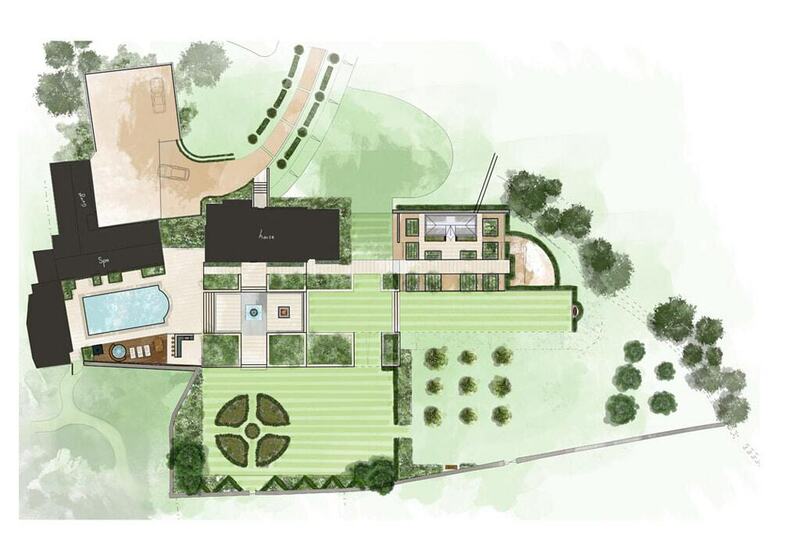 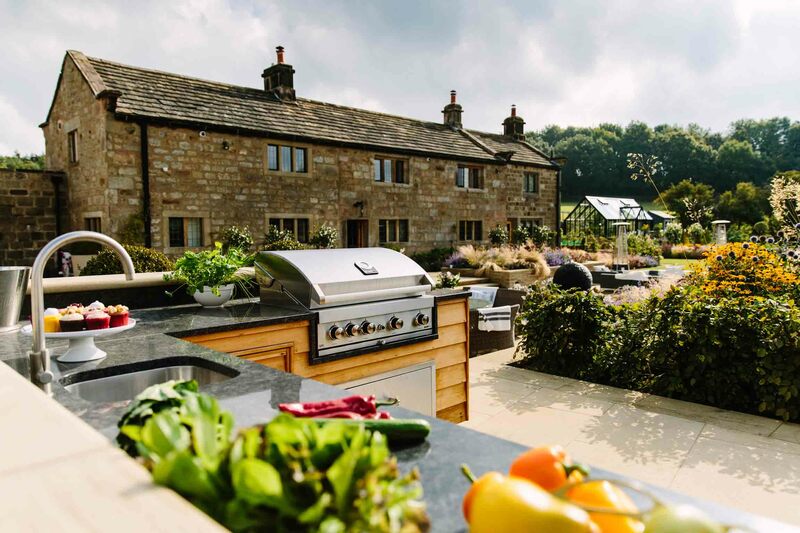 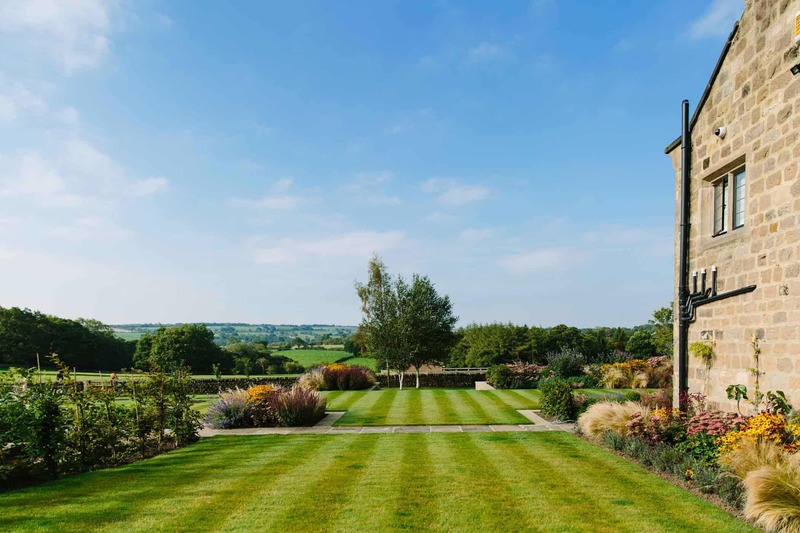 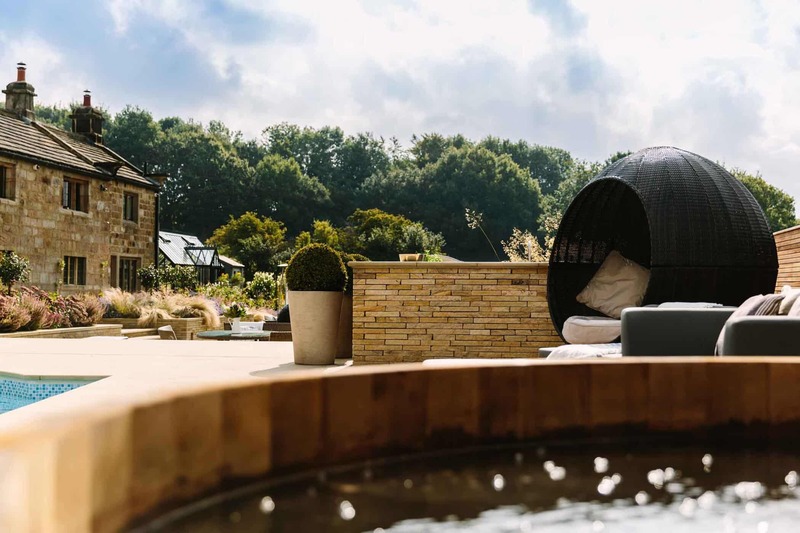 Phase two of the contemporary country garden saw the construction of a large greenhouse, vegetable garden and newly planted orchard, while phase three completed the project with the restoration of the swimming pool and introduction of outdoor kitchen, hot tub and shower. 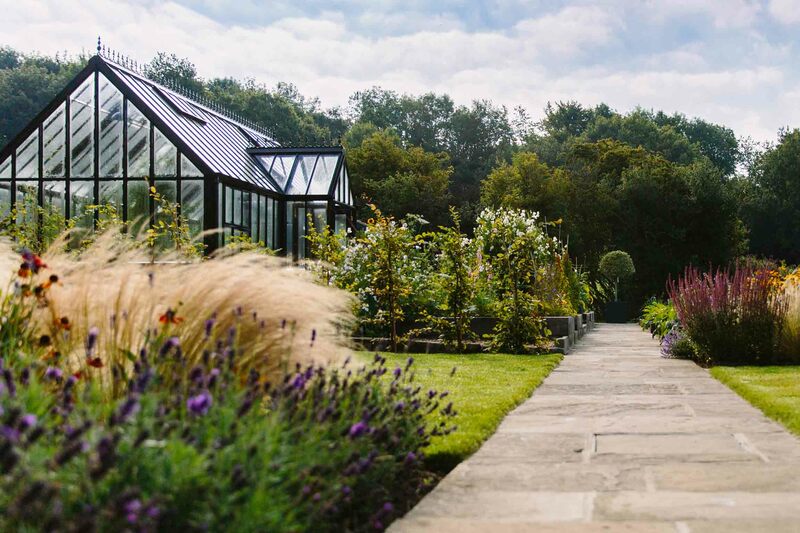 The family have used the garden very frequently in all weathers, and now enjoy growing food at home with their children. 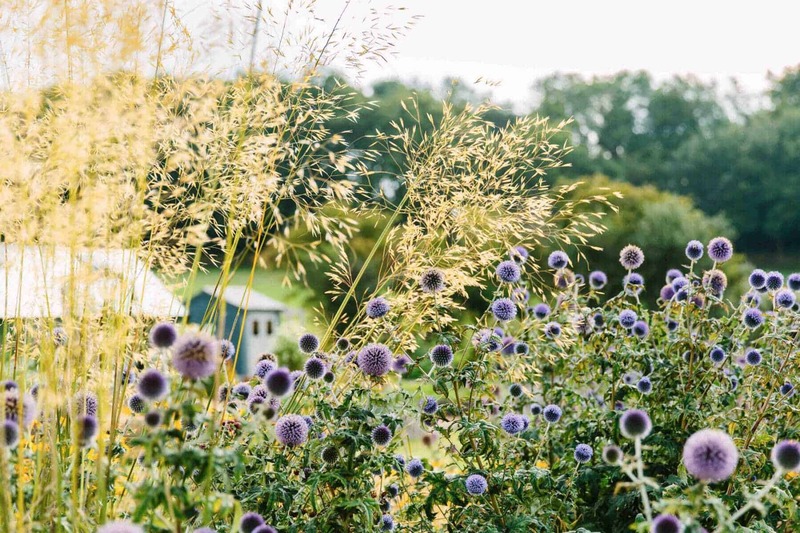 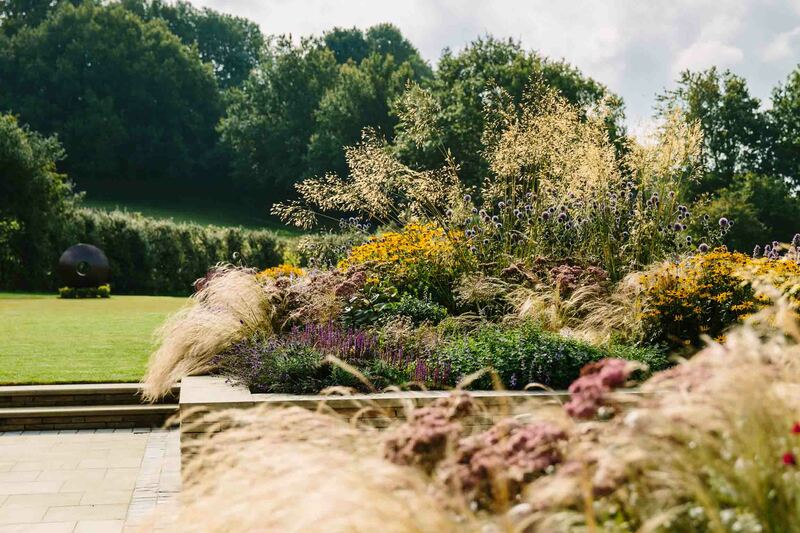 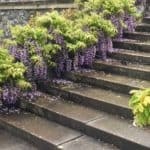 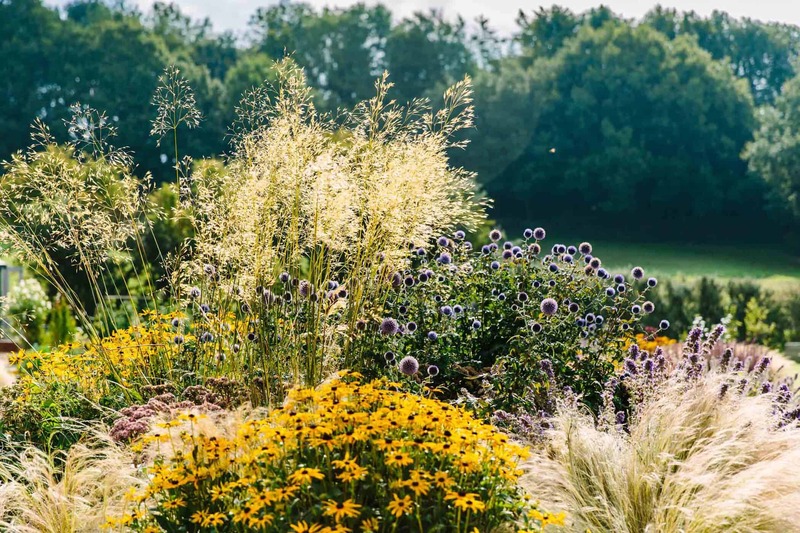 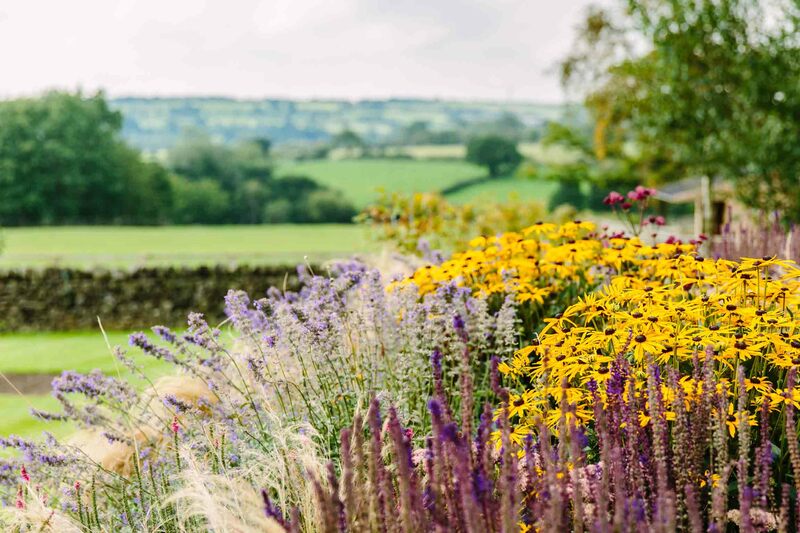 The garden provides a wonderful place to entertain, and the robust materials used mean that even in the coldest winter the garden still stands up to the UK climate. 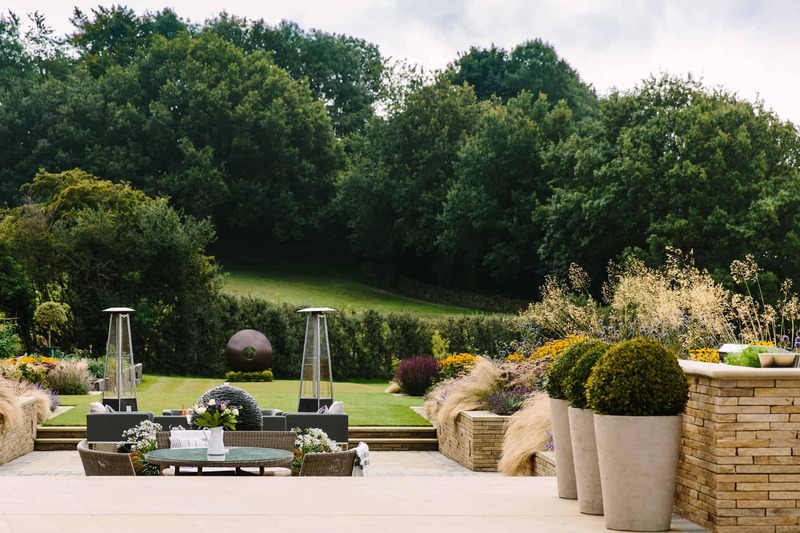 A bronze effect sculpture sits at the end of the garden and creates a great focal point which can be viewed from the central sunken seating area. 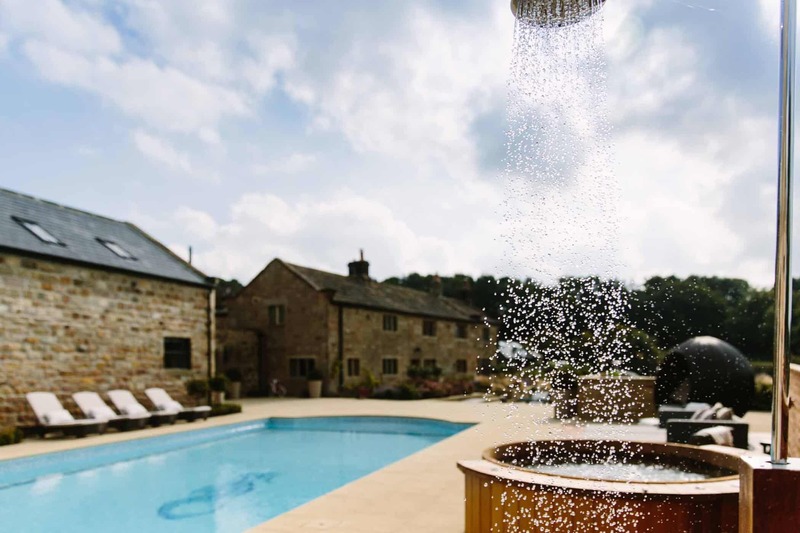 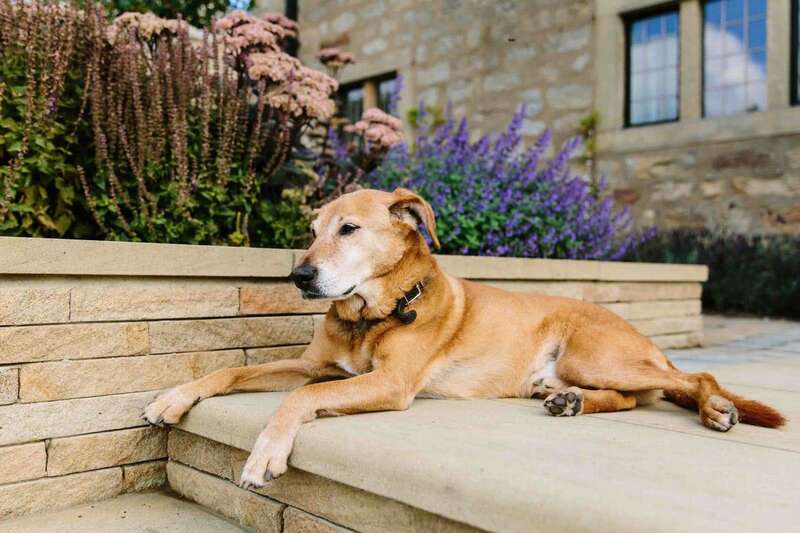 The final phase was the completion of the sawn York stone paving around the refurbished pool and the installation of a Cedar hot tub. 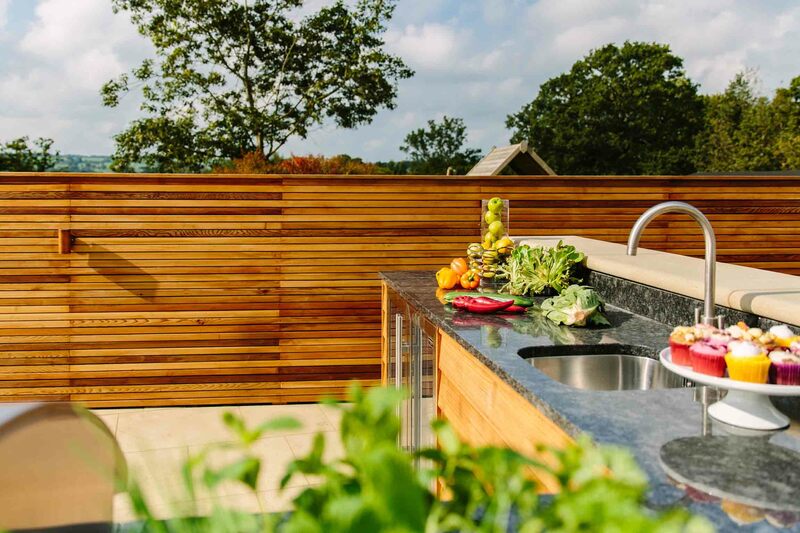 The Iroko decking platform provides somewhere warm under foot, and the outdoor bar and kitchen a fun place to entertain friends and family.